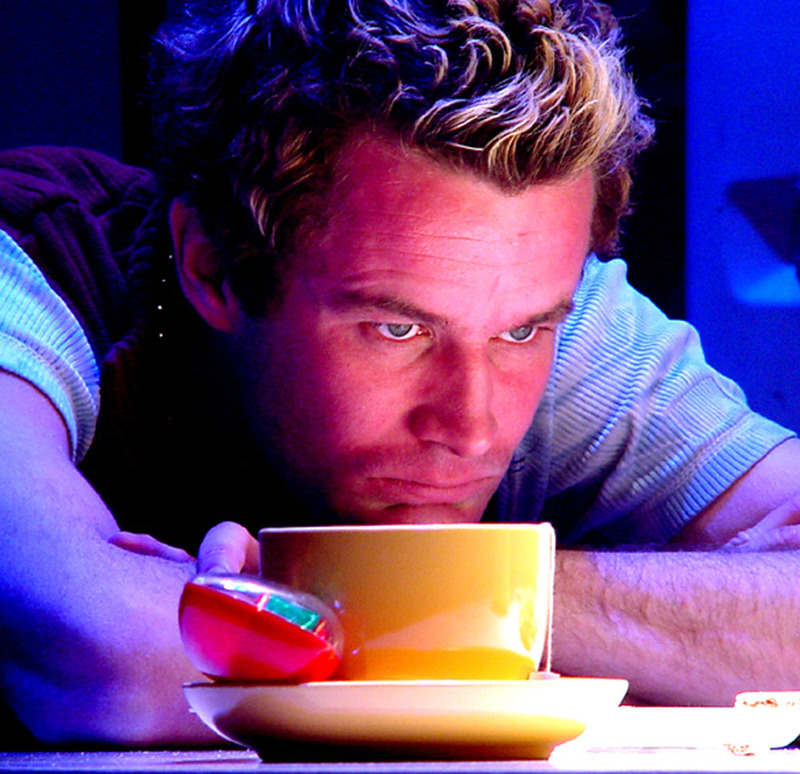 In 2001, four newly graduated theatre students were eager to experiment with theatre. They were not alone. There seemed to be a vibe. An urge to do something. One very cold Reykjavik morning, two of the students were on their way to school, late – as usual. They passed an old electrical shed. A note in the window: For rent! They picked up the phone and rented it. It cost 200.000 a month (US 1.800). Pretty expensive, but it was the beginning of an economical booming time in Iceland. So prices were rising. Still – a lot of money for a couple of students. How to pay the fee? Collect a group of like-minded artists. Along with the other two students and nine other people from most walks of life all agreed to pay 20.000 per month (US 180). This would pay the rent and basic stuff such as electricity, coffee machines and a beer fridge. Sounds romantic. And so it was. So there we were; actors, set designers, musicians, a cameraman and a carpenter. Everyone in it for love of theatre or simply love of being in a collective. So that´s how it started. The group sat down and hammered out sort of a Manifesto: There is a space. You have the right to do what you like. You can ask anyone for help – and they will assist if they feel like it. But you are fully responsible for what you do. Artistically and financially. Nonetheless the others will view what you are up to – and give a firm, honest and friendly review. So the first task was turning this shed into a theatre – and finding a name. The shed was on a street called “Vesturgata” – and at the very end of that street, in a port (which translates as an alley in Icelandic). 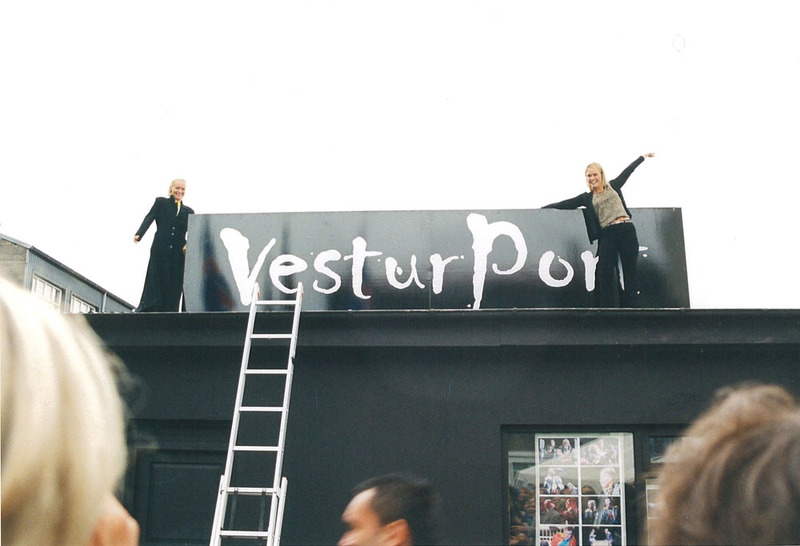 So “Vesturport” was born. Now, the theatre: Rules, regulations, red tape, exits, a bathroom for the disabled, showers. Seating for 49 people. A lot of diffeculties with the fire department. We opened on the 18th of August, 2001. We got a priest: “Sigurður Arnarsson” to bless our house. And we appointed “Gunnar Eyjólfsson” a very respected senior actor as our protector. We threw a bottle of Champagne at the house. It broke the drain. Second time around it hit the wall and…boom! It was official! 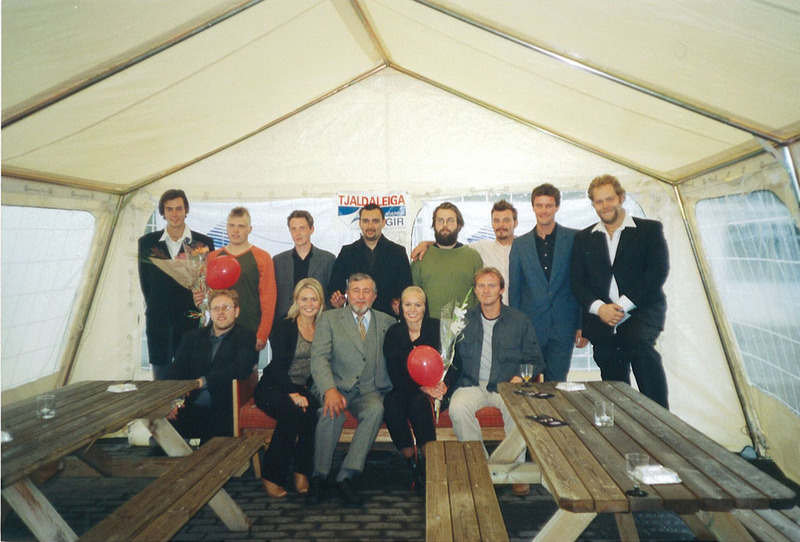 Then, the productions: The very first, commissioned by Víkingur Kristjánsson, who also played the part of “Pig”. Egill Heiðar Anton Pálsson directed and Nanna Kristín Magnúsdóttir was the other actor. The play: “Disco Pigs” by Enda Walsh. It actually worked. It was cool. It was well done and the space proofed to be great. It felt like home. Then a new ambitious Icelandic play, “Key Around the Neck” written and directed by Agnar Jón Egilsson about a young man faced with the possibility that he might be gay. It was very successful. It was later developed into a TV series. Then, another Enda Walsh, a monologue, “Mr. Man”. Again directed by Egill Heiðar Anton Pálsson and performed by Gísli Örn Gardarsson. We like Enda Walsh. What a clever woman. Surely good looking as well. 4 years would pass before we finally met Enda in London. To our great surprise our favorite female writer turned out to be a Man! We also did a lot of concerts. Hired out the space to all sorts of bands. The neighbours slowly grew very, very annoyed. To them there was no romance. Only noise. And then the romance faded. Running a theatre is expensive and tiresome, changing toilet paper and mopping the floors doesn’t really feel like you are being an artist. The space was also quite limited in size – whereas the ideas were big. Did we really need a space? Did we want to argue about toilet paper again and again? We got a grant from the Reykjavik City. Let’s use it on people but not concrete. After all we were not an organized theatre company with a theatre director. 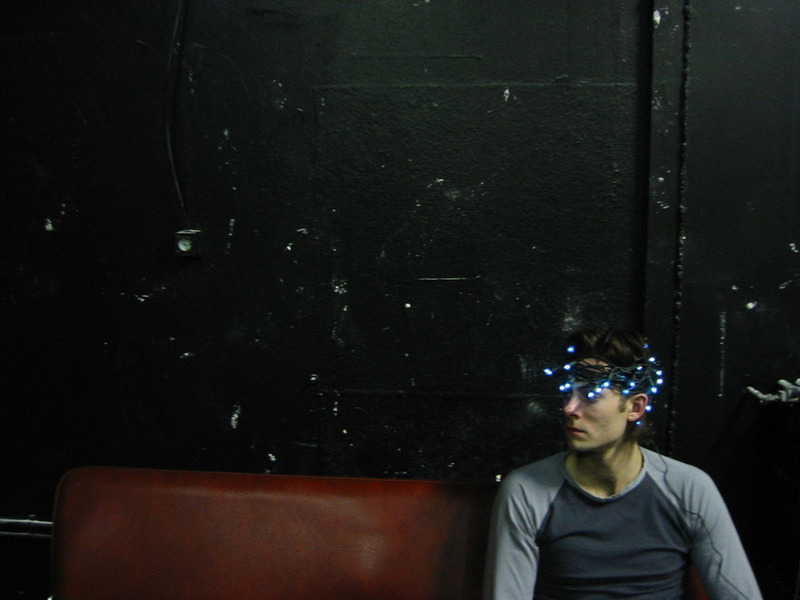 But a collective of artists who wanted to create work and experiment with different forms of theatre. We weren’t really cut out to have board meetings about practical matters having to do with a building. So, the freedom this little shed had given us had now become our chains. So we got rid of the chains and off we go into the big world. Björn Hlynur Haraldsson wanted to do his “Titus Andronicus”. And so he did. At a warehouse in Reykjavik’s harbor area. Rehearsed for just a week and performed only once. Very exciting. They were going to close us down for not having any toilets and no fire extinguishers. But after pleading with them, we had a fireman at every exit ready to assist the audience. Who knew? Health and Safety can be reasoned with in Iceland. This would probably be our greatest discovery. Gisli Örn Garðarsson had an idea for “Romeo and Juliet”. 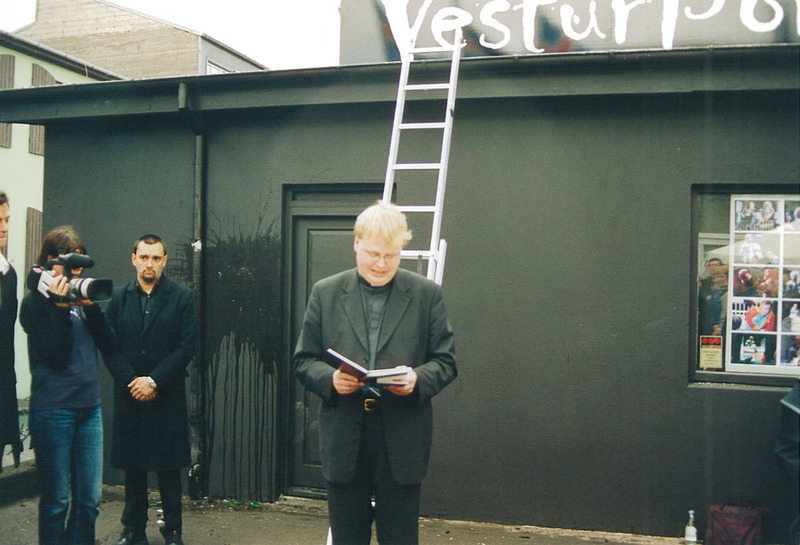 Guðjón Pedersen, the director at the Reykjavik City Theatre agreed to allocate the small stage for this experiment. So an acrobatic version of Romeo and Juliet was under way. Gisli was determined to direct and play Romeo. He had an idea. We had to get in shape – and do this in our spare time as there was no money behind it. So six months of rehearsals, in the gym and on the stage, there were times where we didn’t think we would make it. It was chaotic. As the third set designer assigned to the production, Börkur Jónsson joined forces with Vesturport. Agnar Jón Egilsson joined as a co-director. After all Gisli was hanging upside down. So a very cheap set, audience on both sides. An acrobatic catwalk with a hidden trampoline, trapezes, curtains at 199,- (2$) per meter used as Silks and a cupid that was too cute for words. Tómas Aron Guðmundsson was eleven years old and his mother Ásta was told it would do 10-15 performances (as is common with Shakespeare in Iceland). She was relieved; after all he was an aspiring gymnast busy with training. Romeo and Juliet opened in October 2002 in Iceland. Our good friend, actor Philip Jacksson saw the performance. He said: “this should be done in England!” One of Gisli’s childhood friends Gotti Sigurdarsson agreed. Gotti lived in London – he knew the names of some theatres. So he and Gisli sent out some letters. An invitation to come to Iceland to see Romeo and Juliet. Only one English theatre director was crazy enough to reply. David Lan of the Young Vic. So through David and other helpful sorces, not to mention countless hours of work by Gotti and Gisli we arrived in London in October 2003. A lot of press. Great audiences, eight performances a week. Later, Romeo and Juliet returned to London for a run at The Playhouse in The West End. What a journey. Eight years later Romeo and Juliet has been performed almost 400 times all over the World and is still being kept alive. Our little Cupid now has stubble and a deep voice. So back in Iceland. What next? How about a story with quiet intensity? A story that takes place on a tired fishing trawler with six characters that get along simply because they have too. Jón Atli Jónasson tumbled in when some of us were trying to figure out what to do after Romeo and Juliet. He had a draft for a play set out on Sea, “Brim.” Our former teacher Hafliði Arngrímsson stumbled into the room by accident. He got hired as the director. That was his debut. It premiered in 2003. And we toured the country with it: Vestmannaeyjar, Ísafjörður, Hafnarfjörður and Akureyri. It also travelled abroad: Wiesbaden, Tampere and in the end it took us to Moscow where it was awarded The New Drama Award. Now it has developed into a film baring the same name “Brim” directed by Arni Olafur Asgeirsson. Then Víkingur Kristjánsson had written a play. Björn Hlynur directed. We get into an elevator shaft in another warehouse and perform “Kringlunni rústað (A Shopping Mall Shattered). Wanting to explore events as fresh as possible, it was written and premiered just six weeks after the Madrid bombings. 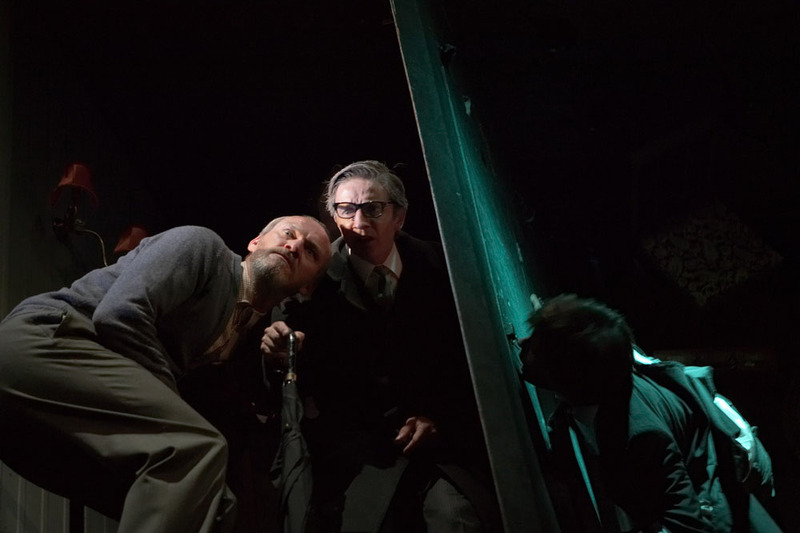 One hour, five actors, eighteen audience members, after all, it was performed in a pretty tiny and dingy elevator shaft. And then, by chance Gisli meets David Lan in Hamburg with Louise Jeffrey’s of the Barbican. A co-production is born. With The Barbican Theatre in London, Het Muzik Theater in Amsterdam and The City Theatre of Reykjavik, “Woyzeck” by George Buchner. Gisli is to direct and his collaboration with Börkur continues as set designer. Set in a factory where the commodity is water, with aquarium tanks filled with water and actors swimming in it. Nick Cave and Warren Ellis composed the music and lyrics for it. Agnar Jón and Ólafur Darri commission a play with their two other male classmates from drama school, Crazy Gary´s Mobile Disco. A dead cat, karaoke and headless pigeons. 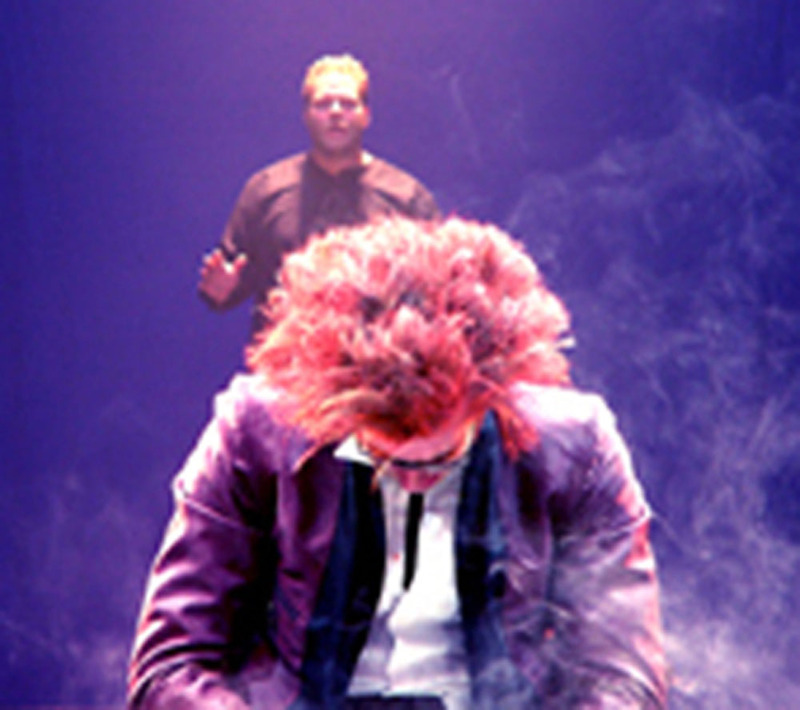 Premiering at The City Theatre of Reykjavík in January 2006. The playwright Gary Owen was present. With Agnar Jón directing and Ólafur Darri, Friðrik Friðriksson and Guðmundur Ingi Þorvaldsson in the roles of the three characters. 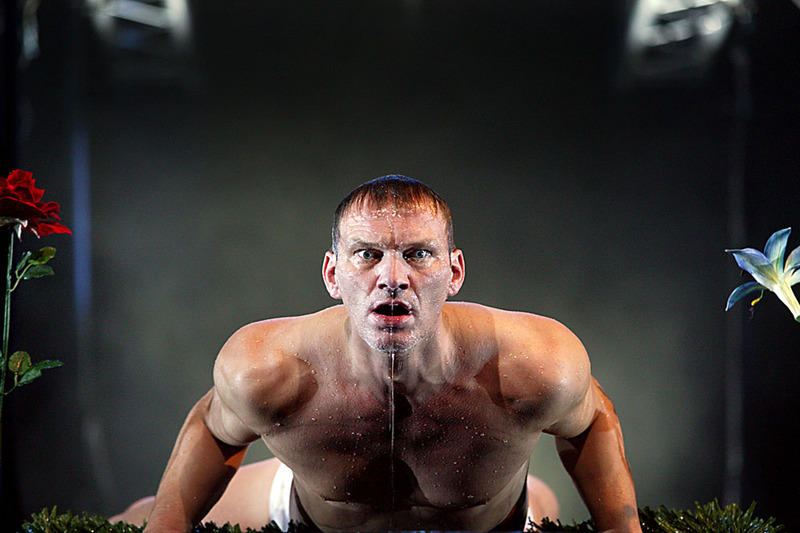 Then Metamorphosis is given life through David Farr and the Lyric Hammersmith. Co-directed and adapted by Gisli and David it becomes a Vesturport co-production. Yet again, the music created by Nick Cave and Warren Ellis. Opened at the Lyric Hammersmith. 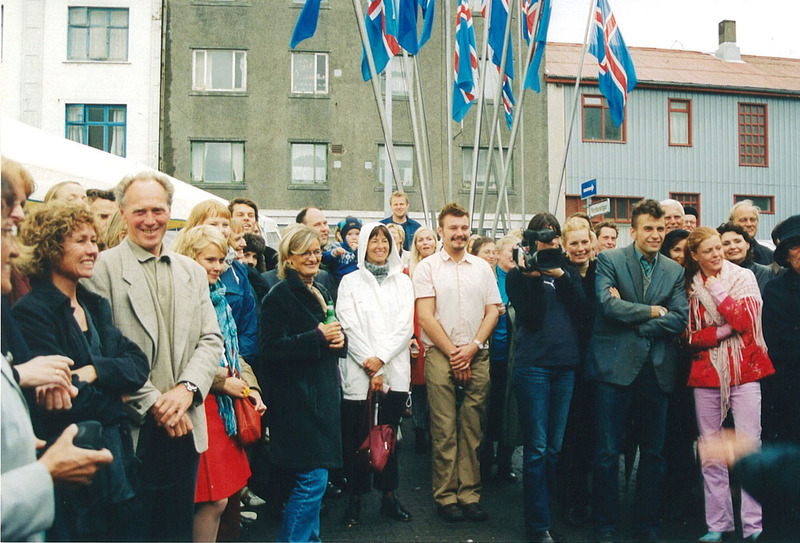 Three of the actors are Icelandic, Gisli, Nina Dögg Filippusdóttir and Ingvar E. Sigurðsson and two are English. Kelly Hunter and Jonathan McGuinnes. For the first time we work with foreign actors in the company. Back in Iceland. Gisli has an idea for a musical. He and Víkingur Kristjánsson write it. Co produced by the Reykjavik City Theatre. 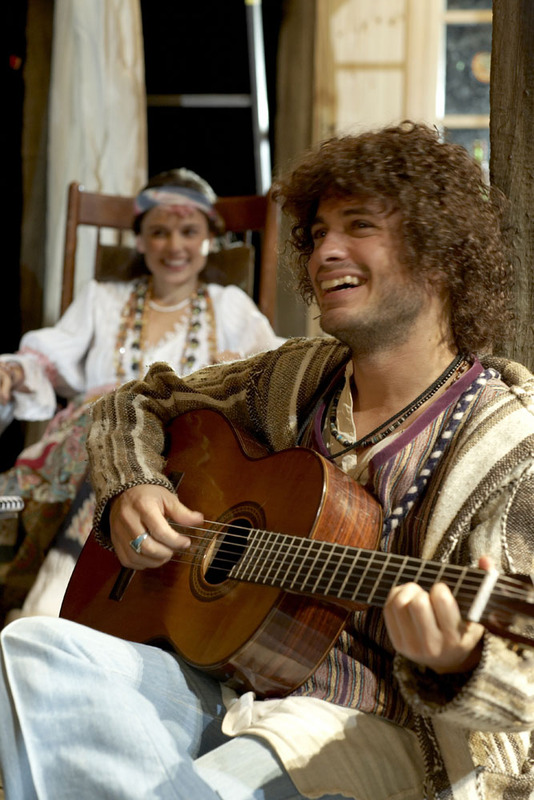 A musical set in an old peoples home. So, “Love” the musical is given life. “Cause all you need is love” As the collective of actors all above 60 years old sing. The oldest being 83. The musical ends up as separate productions at The Lyric Hammersmith in London and in Seoul, South Korea. Björn Hlynur writes and directs his “Dubbeldusch” about a modern day family with a big secret. A very big one. Magnús Geir at Leikfélag Akureyrar produces it for their theatre and then it travels to Reykjavík. 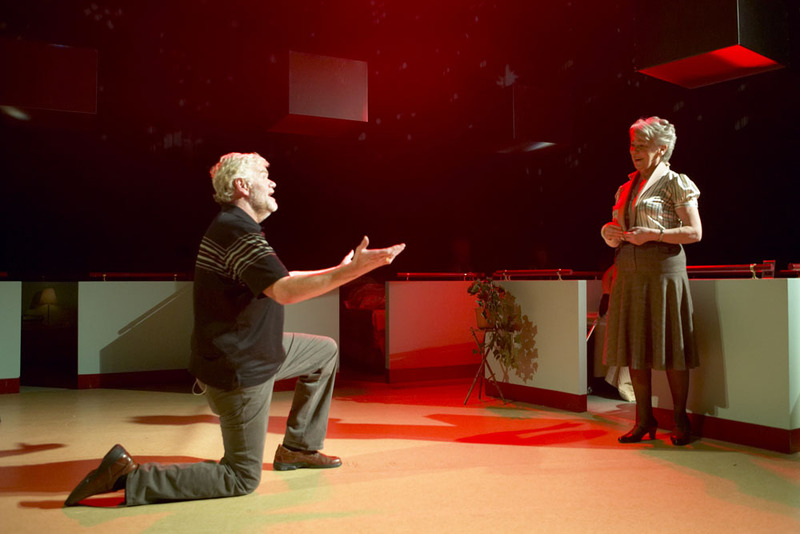 Then “Together” finds it way to the stage in Iceland. Again, co produced by the Reykjavik City Theatre. An Icelandic version with 7 Icelandic actors in it plus a Mexican actor Gael Garcia Bernal and a Spanish actress Elena Anaya. Gisli directs and Börkur does the set. It travels to Mexico City and Guadalajara. Some get food poisoning. All of us fall in love with Mexico. The latest offspring is Faust. Not the Goethe one, only inspired by him and written by Björn Hlynur, Gisli, Nína Dögg, Víkingur Kristjánsson and the fantastic Carl Grose. Yet another Reykjavik City Theatre production. It is also co-comissioned by the Ludwigshafen Theatre in Germany. Gisli directs and the music is by Nick Cave and Warren Ellis. The set is by Axel Jóhannsson who makes his debut with Vesturport. We have also produced six feature films: Love is in the Air, Children and Parents, directed by Ragnar Bragason. Kings Road and Country Wedding, directed by Valdís Óskarsdóttir and Brim directed by Árni Ólafur Ásgeirsson. We have been lucky enough to bring our productions to five continents, working on the last two. And we want to keep going, bearing in mind the premise of the past, the love of theatre, friendship and family. At the end of the day, all that matters is the collective of people. And Vesturport is just that – a collective and a mindset.